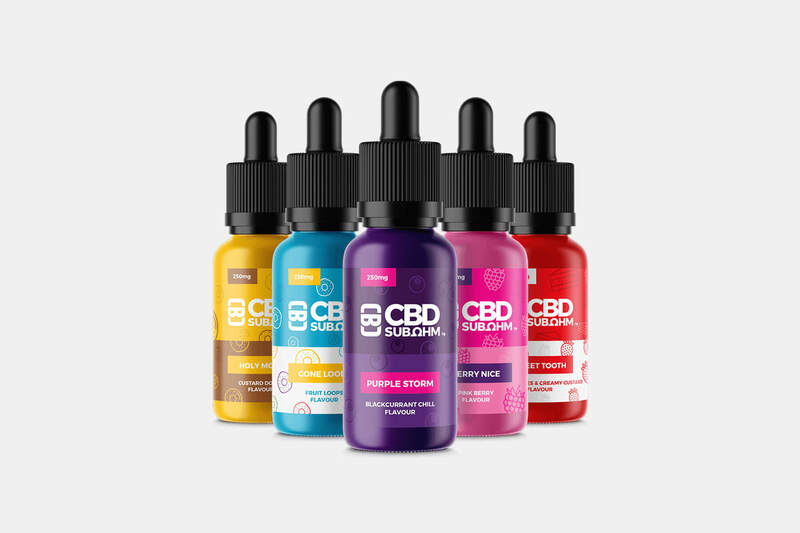 CBD Asylum are an online retailer and wholesaler of CBD products in the UK. 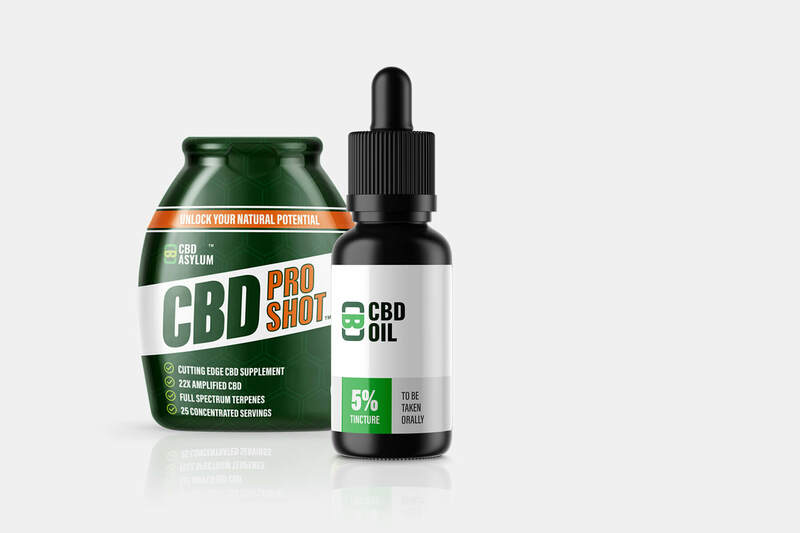 Having identified a growing demand for this product sector, the owners came to us with a brief to create the primary brand identity for CBD Asylum as well as sub brands for several of the products including CBD Pro Shot, CBD Oil, Nano Shot and CBD Sub Ohm. Our starting point in the project began with the brand name. The client knew what they wanted to convey, but needed help in articulating it. Over a period of several weeks, we worked in collaboration with the owners to develop the brand name and settled on CBD Asylum, now a registered trademark. We liked the term 'asylum' as we wanted to portray the online store as a sanctuary for customers; a place they could visit to grab the products they need to help improve their day. The subtle alliteration in the name helped it roll off the tongue nicely too. When developing the visual identity for CBD Asylum, we knew that the logo and associated colour scheme needed to be strong enough to be memorable, but simple enough that it wouldn't hog the limelight when used in conjunction with product sub brands. 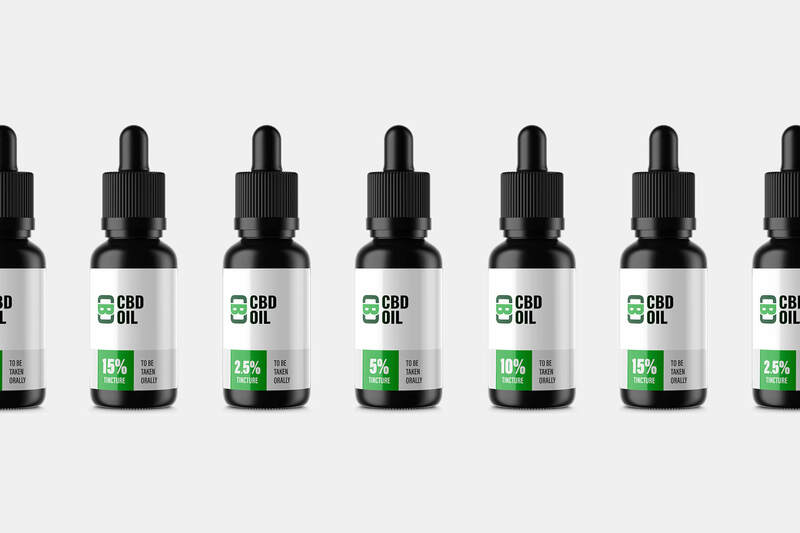 The resultant design was a happy accident, after experimenting with the term 'CBD'. Using a particular typeface, we rotated the design ninety degrees and realised that by closely spacing the three letters, they formed a rather cool looking character icon. Having shown the design to the owners, they instantly loved it - almost as much as we did. 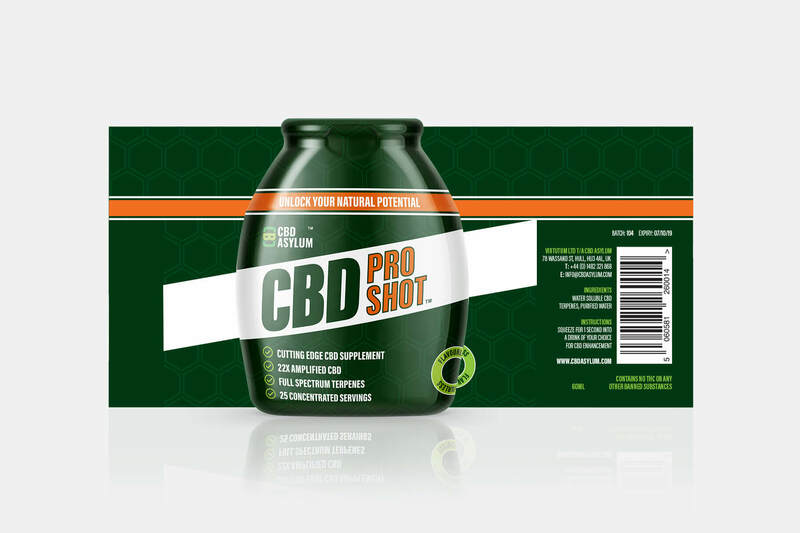 Once the primary brand identity was in place, we moved on to developing product brands and packaging designs for CBD Pro Shot, Nano Shot, CBD Oil and CBD Sub Ohm. 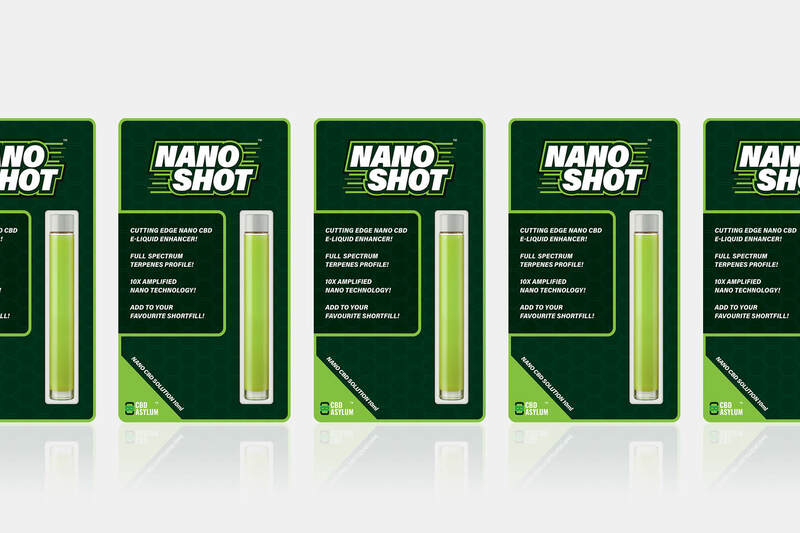 Each of the product ranges required several variants for different flavours and strengths, as well as a suite of marketing collateral including retail posters, POS and a product catalogue for wholesale and retail. Since launch, CBD Asylum has gone from strength to strength, being endorsed by athletes including Eddie Hall, the world's strongest man 2017. 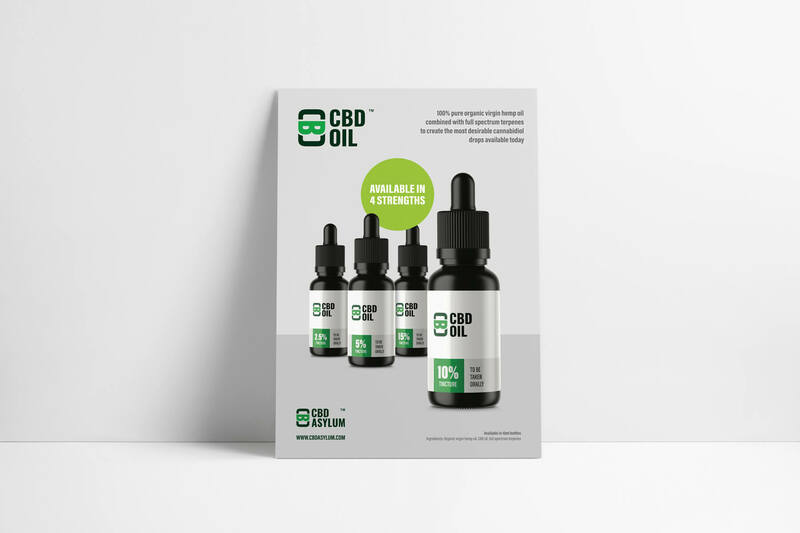 CBD Asylum products are available through the online store https://www.cbdasylum.com and several other stores and websites.